The need for a new constitution has already been accepted by almost all political parties in the country. Following the end of thirty years long bitter war the general expectation among the people has been to set aside the old differences and concentrate on developing the country. In this background a new government was voted into power with the idea of changing the political culture of the country. Adopting a new constitution is an important step in these developments. While some progress has been made in developing a constitution, so far no final decision has been made and what is before the parliament is only a set of proposals. It is up to the parliament to debate and decide what is best for the country. 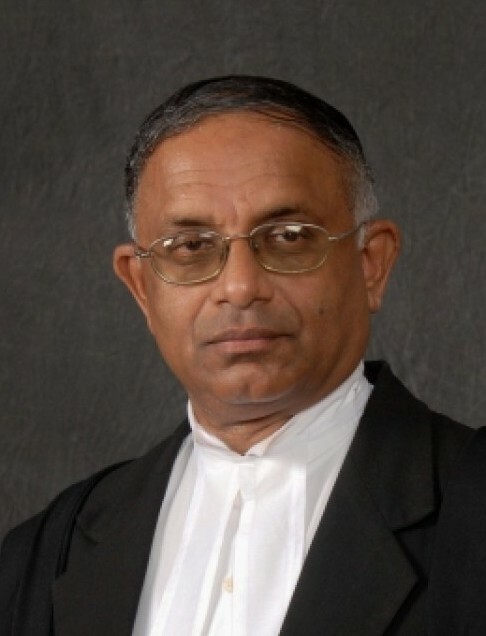 While this remains the actual situation, there seem to be organized efforts to scuttle the progression of a new constitution and the climax of these attempts is the death threat on Member of Parliament Dr Jayampathy Wickramaratne who has been in the forefront of the campaign for a new constitution. Here the main grouse of the people who are trying to undermine all efforts to draft a new constitution seems to be their opposition to devolve power to the periphery mainly to the northern and eastern provinces. Any further devolution, in their eyes, seems to be equivalent to dividing the country. These elements seem to have failed to understand that it is our reluctance to power sharing which resulted in the bitter war that cost us dearly in terms of loss of human life, destruction of property and loss of economic opportunity pushing the country backwards almost by half a century. Several efforts to settle this issue were scuttled by extremist groups in the past. Unfortunately in our country history seems to be repeating itself. The first effort to solve this problem, Bandaranaike-Chelvanayakam Pact of 1957 was defeated by extremists both in the south and the north. The same fate befell two other efforts, namely Dudley-Chelvanayakam Pact of 1965 and another attempt during the presidency of Chandrika Kumaratunga to pass a new constitution. The ongoing constitutional process is the fourth such genuine attempt at resolving the ethnic issue once and for all. 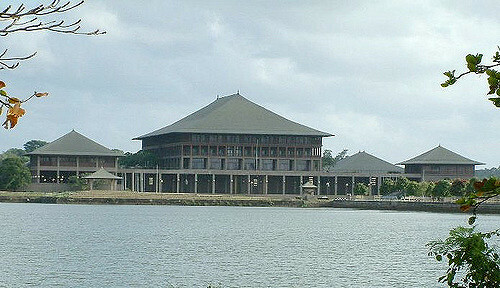 Though the government of President Mahinda Rajapaksa succeeded in crushing the LTTE which was in control of the north of the country the conclusion of the war has entangled the country in a human rights issue with the United Nations and the UNHRC wherein the country’s military has become answerable for some grave human rights violations. Any further delay or failure to find a constitutional solution to the national issue will only worsen our position with regard to the UN inquiry into these alleged HR violations. Such a failure could not only lead to another bitter war but will also place us in an unfavourable situation internationally with a massive amount of sympathy for the cause of the Tamil community which could result in direct foreign involvement. One must also not forget that it was President Mahinda Rajapaksa who following his military victory over the LTTE promised a ‘thirteen plus’ solution to the government of India. That necessarily meant full implementation of the current thirteenth amendment to the constitution which includes limited police and land powers to the provinces plus something more. Therefore all opposition parties which recognize his leadership also should technically support a new constitution. Any provision untoward or which has divisive tendencies can be debated and amended or even defeated in a future referendum. But one should not throw the baby with the bath water. If at all, a new constitution is passed it will be by the parliament and by the people through a referendum and not by Jayampathy Wickramaratne who is only one individual MP. Making political capital out of this issue will only make things worse for the future of the country. It goes without saying that future success of the country particularly its economic development is closely linked to national reconciliation. 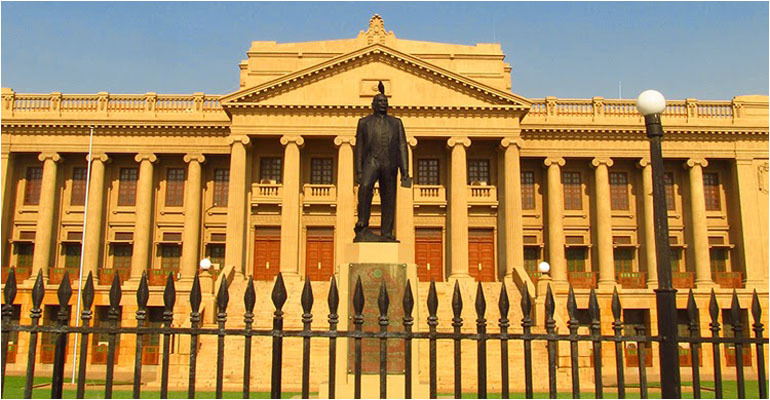 Therefore, duty of all Sri Lankans at this moment is to support the evolution of a proper constitution for the country and not to scuttle it by going to the desperate level of issuing death threats which in ultimate sense are a threat to the future progress of the country.